Lockdowns have become an ordinary feature of the American school day, said journalists Steven Rich and John Woodrow Cox. Even when there’s no violence, children suffer the psychic consequences. Nonetheless, school shootings remain relatively rare, even after a year of historic carnage on K-12 campuses. What’s not rare are lockdowns, which have become a hallmark of American education and a byproduct of this country’s inability to curb its gun violence epidemic. Lockdowns save lives during real attacks, but even when there is no gunman stalking the hallways, the procedures can inflict immense psychological damage on children convinced that they’re in danger. And the number of kids who have experienced these ordeals is extraordinary. More than 4.1 million students endured at least one lockdown in the 2017–18 school year alone, according to a first-of-its-kind analysis by The Washington Post that included a review of 20,000 news stories and data from school districts in 31 of the country’s largest cities. The number of students affected eclipsed the populations of Maine, Rhode Island, Delaware, and Vermont combined. But the total figure is likely much higher, because many school districts—including in Detroit and Chicago—do not track lockdowns and hundreds never make the news, particularly when they happen at urban schools attended primarily by children of color. Still, on a typical day last school year, at least 16 campuses locked down, nine of them because of gun violence or the threat of it. The Post’s final tally of lockdowns exceeded 6,200. She cherishes few things more than school. 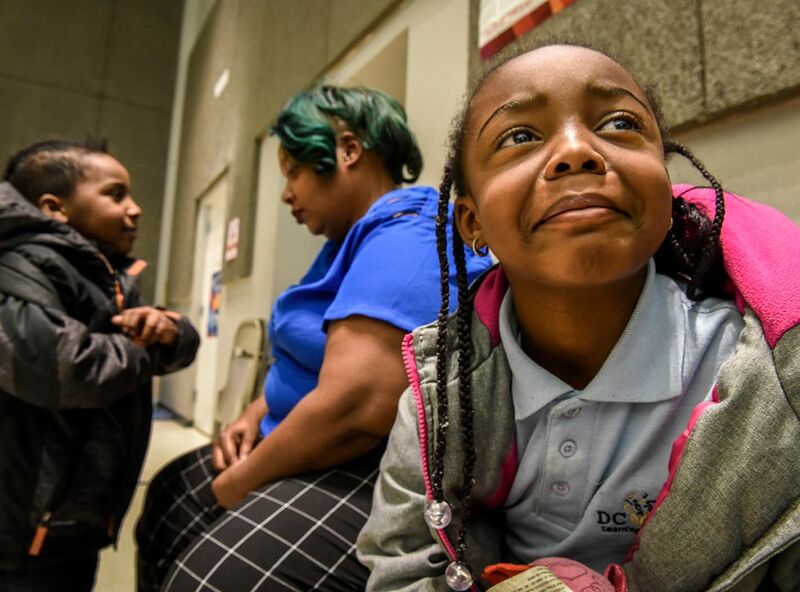 All of MaKenzie’s classes are her favorite, except for language arts, her “favorite favorite.” The girl can read well beyond her grade level and has nearly memorized the story Monsters Don’t Scuba Dive, said her mother, Gabrielle Woody, who works in an aftercare program at DC Prep. While various threats, sometimes referencing bombs, accounted for 15 percent of lockdowns, and police manhunts near campuses made up a similar share, at least 61 percent of lockdowns were related to firearms. Although most kids won’t suffer long-term consequences, experts who specialize in childhood trauma suspect that a meaningful percentage will. “It’s like an air bag,” he said, because they save drivers’ lives in car crashes, but the devices might also break noses and crack teeth. Last school year, the system Czajkowski oversees, Sweetwater Union High School District, dealt with 71 student threats, he said, but only seven times did schools lock down, and five of those were prompted by off-campus danger, such as a burglary or gunfire. In 11 instances, schools went into what they refer to as “secure campus” mode, in which classroom and exterior doors are locked and no one enters or leaves the buildings but teachers can continue with instruction. Some school districts still categorize that or similar measures as lockdowns, while others call them “lockouts,” “building mode,” or “sheltering in place.” Though those scenarios can also unnerve children, the experiences are usually less jarring than turning the lights off and hiding in the corner. Still, because there are no universally accepted best practices, schools take dramatically different, and sometimes haphazard, approaches to preparing students. Not long after, Crepeau-Hobson was asked to help students from another high school outside Denver. In that case, an off-campus robbery and carjacking left two people shot, but no violence ever reached school grounds. “They were on lockdown for hours and hours,” without any information to alleviate their dread, Crepeau-Hobson recalled. Afterward, she said, the school did little to ensure that its students felt OK, though many didn’t. Teens suffered from stomach pain and headaches. Some struggled to focus in class. Others couldn’t sleep. Compounding the problem for educators, according to the Post’s analysis: A leading cause of lockdowns—threats—and a common effect—anxiety—are contagious, and they’re each exacerbated by actual gun violence. 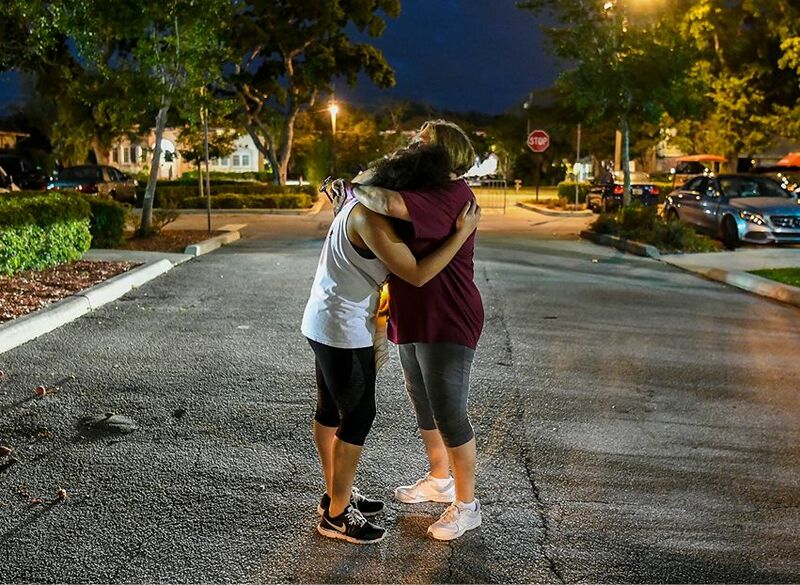 Nationally, the seven days with the highest number of incidents leading to school lockdowns occurred in the two weeks after the bloodshed at Marjory Stoneman Douglas High in Broward County, Fla., on Feb. 14. It’s not just mass killings, though, that leave children believing they might get shot in their classrooms. As Ajani Dartiguenave rode to school in Charlotte, N.C., with his mom one morning in October, he heard on the radio that a student at Butler High, about 20 miles away, had been gunned down in a hallway. Ajani, 12, didn’t say anything about it at the time, recalled his mother, Claudia Charles, and she didn’t discuss it with him. They live in an upscale neighborhood where crime is rare. He had never seen a gun in person or heard shots from his bedroom, and Charles, a nurse, wouldn’t even let him play with water pistols. Not once did she imagine that the violence they’d heard about on the radio would make him feel unsafe. Eleven days later, Ajani was studying English literature at Governors’ Village STEM Academy when the intercom announced that the campus was being locked down. The seventh-grader didn’t know that an anonymous threat, never in danger of being carried out, had elicited the response. He knew only that a boy in the community had been shot to death inside another school a week before, and that made Ajani think he would get shot, too. As he and his friends sat on the floor, Ajani reached into his bookbag, adorned with a smiling cartoon anime character. Without making a sound, he pulled out a pencil, writing first on an index card and then a sheet of notebook paper. At the top, he scribbled his home address and his mom’s name.